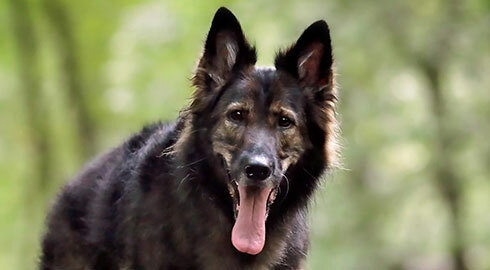 German Shepherd Lupa was brought to the ER with clinical signs of tetanus toxin exposure – difficulty swallowing and progressive stiffness throughout her body – so the vets ran diagnostics as well as a neurological evaluation which confirmed this diagnosis. Over the next month, Lupa was hospitalized for two weeks, needed an urgent tracheostomy to help with her breathing and consistent fluids via Intravenous catheter because her tongue would not function normally. She’s had multiple follow-ups and was released with a recommendation for hydrotherapy to help recuperate from the effects of the toxin. The good news? She’s shown steady improvement ever since! 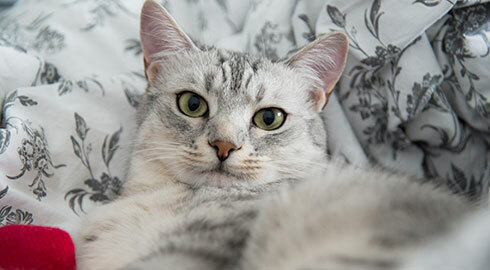 The most expensive vet visit for a cat came from a beautiful 7-year-old male Egyptian Mau named Simba. After a fall from a 5-story window, Simba had broken bones – his shoulders, jaw, and feet – as well as internal injuries. After a blood transfusion and surgery, he was stable, but the road to recovery was going to be tough! His recuperation process included lots of rest and a feeding tube due to the oral fractures, and he wasn’t expected to fully bounce back for 6 to 8 weeks. He has since healed, and is back to simply watching the world go by the window, rather than falling out of it! From the initial diagnosis to ongoing therapy, vet bills can add up (and in these cases, exponentially!). By enrolling in pet health insurance, you can be reimbursed up to 90% on those accident and illness vet bills that can come – seemingly – out of nowhere. Start by getting a free quote, and find the most common conditions why pets see the vet in our Cost of Pet Health Care 2018 report.